Over the past few months, I’ve be doing audio interviews with mothers who are artists, asking them for their definition of love, and how that definition is exemplified in their relationships with their family, as well as how they show that love through their work and in the community. This is the fourth and final entry. A heavy dose of rain bounced off of a skylight atop the Sprinkle Lab studio in West Oakland. Under it, Sasha Kelley moved meticulously around a table, taking photos. Her daughter Amina sat off in the distance, occupied by a kid’s show on a handheld device. This allowed Kelley to focus on her subjects: Talia Taylor and Candice Antique. I was the third person at the table — far from a subject, just in the picture to ask the questions. 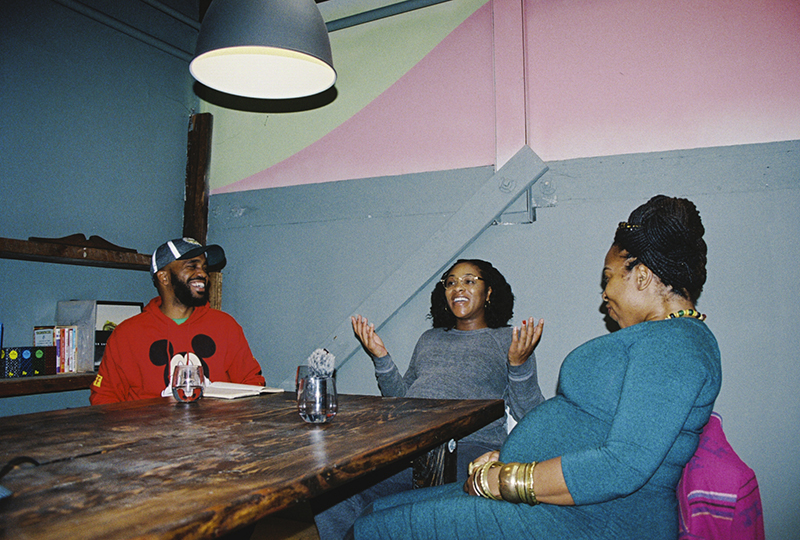 Pendarvis Harshaw, Talia Taylor, and Candice Antique sitting around a table at Sprinkle Lab in West Oakland. Photo: Sasha Kelley. About two-thirds of the way through our interview — around the time I asked Candice and Talia how they show love to the unborn children they’re carrying — that’s when it all hit. Candice, who is expecting to give birth in early 2019, intertwined the depth of her comment with a bit of jest. 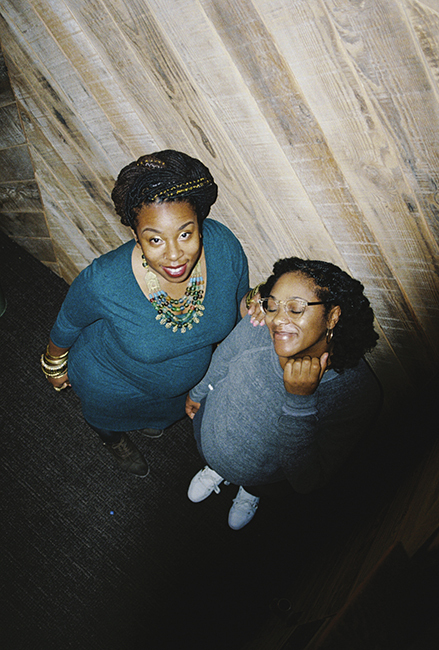 “I’m just a vessel that’s carrying him, and his whole condo and chairs and table and whole thing,” Candice concluded as she laughed; Talia and I joined her as background vocalists in her song of laughter. That’s love. To hold another being inside of your body, allowing it to completely alter your flesh — forever — all in effort to provide the proper nourishment for this seed to thrive. Candice caught laughing. Photo: Sasha Kelley. I’m fascinated. How can you love someone without knowing them? And how do you show that to someone you can’t see? I thought of interviewing mothers about love around the time my partner and I conceived our daughter. During the time she was pregnant, our frayed relationship further unraveled, largely due to my actions. And I knew it was the worst time for a relationship to hit a pocket of turbulence. Bearing children for any woman isn’t easy, and for a Black mother it’s especially dangerous. I knew about the skewed infant mortality rate. “Black infants in America are now more than twice as likely to die as white infants,” according to a New York Times article published earlier this year. I knew about postpartum depression, physical injuries that occur during labor, and other health issues. But still, I’ll never know what it’s like to carry another human inside of my own flesh. Candice and Talia from a bird’s-eye view. Photo: Sasha Kelley. I could never know what the experience was like and what amount of love it would take to make healthy choices, carry a baby and bring the child into this world where there are so many perils to face on a daily basis. 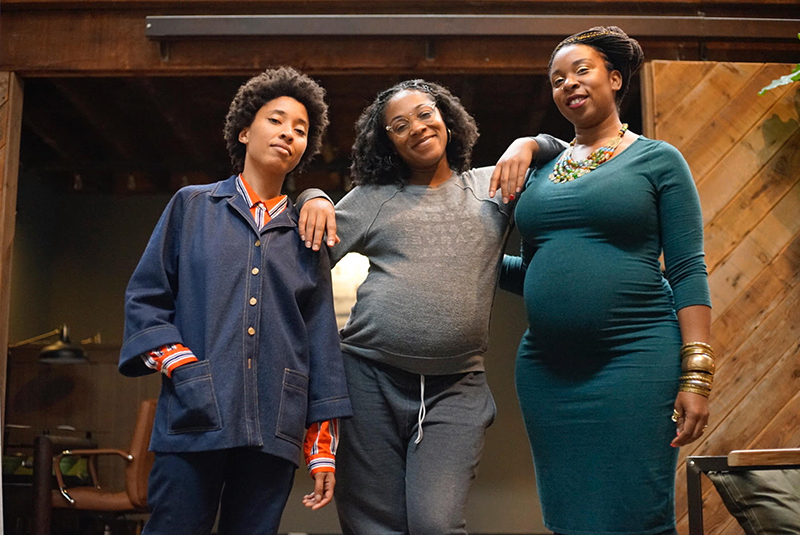 I got a small glimpse into that world during my conversation with writer, organizer, and event host Talia Taylor and Candice Antique, who is a business owner, vocalist, and educator. A small glimpse into a world where love defeats fear, that’s all I wanted. I’ve known both Candice and Talia for years. Well, I kind of knew them. We’re all a part of the same circle of creatives. I’ve seen Candice perform at The New Parkway with her group Antique Naked Soul and I’ve seen Talia gripping a bullhorn, organizing people for political purposes in Frank Ogawa Plaza. We’re a part of the same community, but I didn’t know them. I didn’t know about their parents’ stories. I didn’t know about their paths toward love. I didn’t even know that they knew each other — but again, same circle, so it made sense. During this time with them, I got to know a little bit more about these two dynamic women. I learned about their connections to the continent of Africa, their concerns about motherhood, and their definitions of love. Sasha Kelley, Talia Taylor, and Candice Antique Davis. 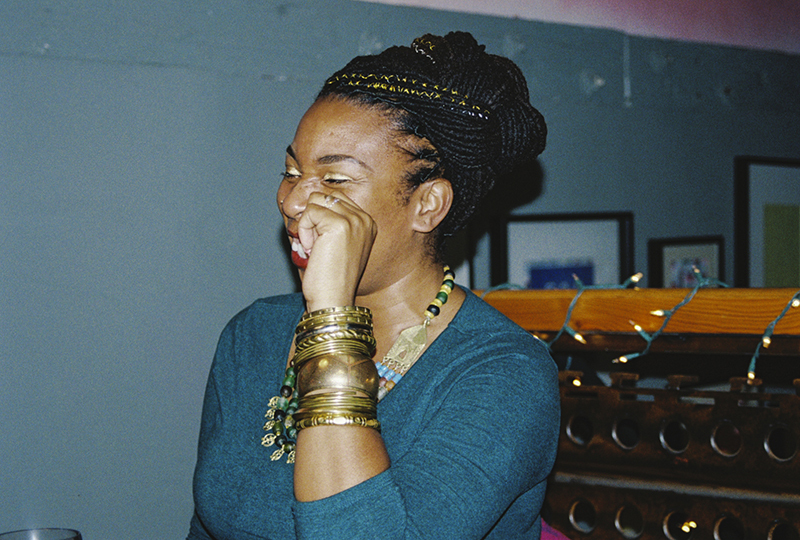 Photo: Pendarvis Harshaw. To hear our full interview, I invite you to click below.